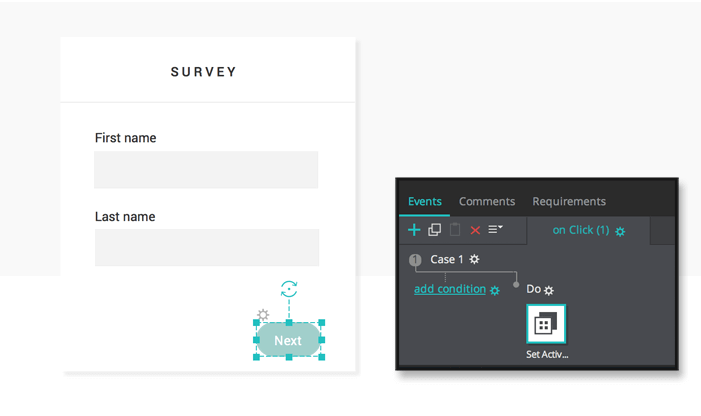 With Justinmind, you can create forms, such as a mobile survey, that reset automatically. In a new web prototype, drag a Dynamic Panel to the Canvas and create three additional panels (click the ‘+’ at the top of the Dynamic Panel). Each will be a page in your form. Double click on Panel 1 to edit its contents. Drag Text widgets, Input Text Fields, Images and Buttons into the panel. 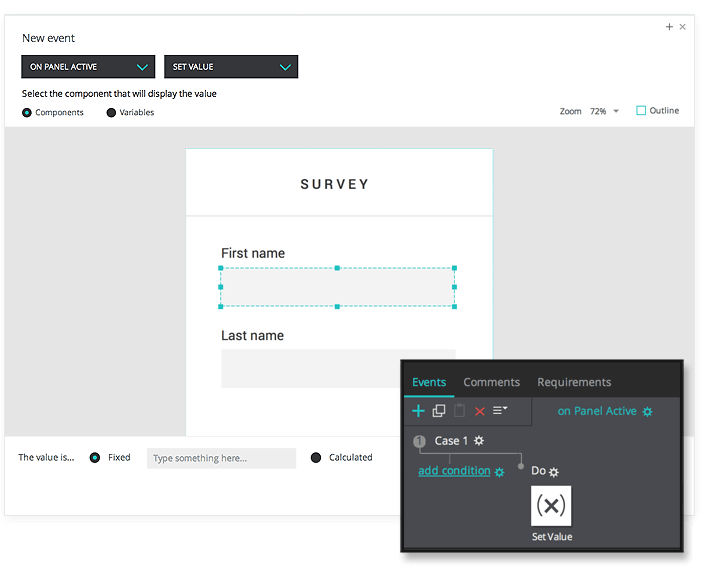 Repeat this step for each panel to create your form’s content. Go to the Events palette and add an “On click” + “Set Active Panel” event to the Button in Panel 1, selecting Panel 2 to be set as active with a slide effect. Repeat this step for the Buttons in other panels, changing the panel to be set as active each time. Now, we want to make the form reset automatically. Select Panel 1 and add an “On Panel Active” + “Set Value” event, selecting all the Input Text Fields in the panel as the targets of the action. Leave the value blank. 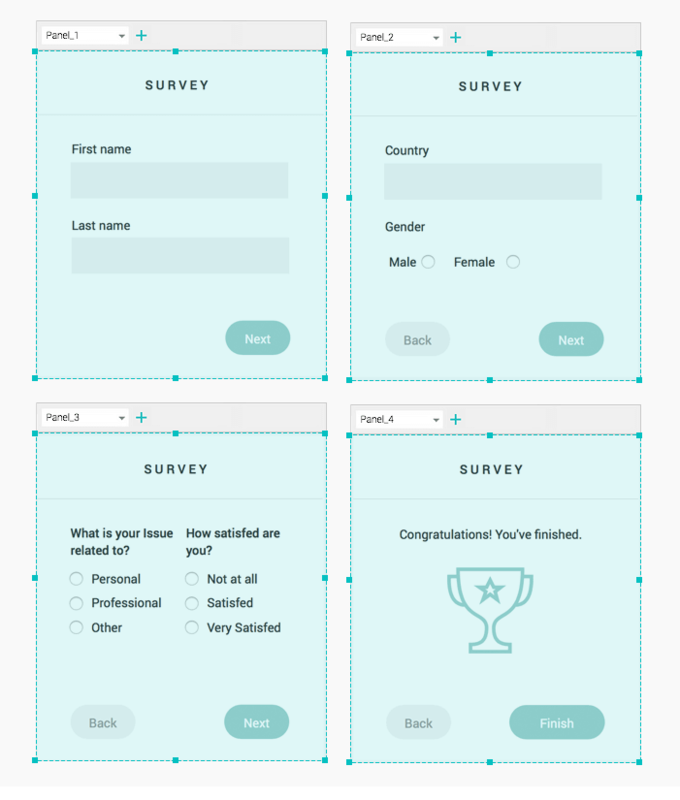 Repeat the last step in each panel, selecting the Input Text Fields or radio buttons in each panel to be have their values reset to blank (or ‘not checked’ for the radio buttons). In the Events palette, change the timing between the events to “WITH previous” so they occur simultaneously. And that’s it. Click “Simulate” and enjoy!